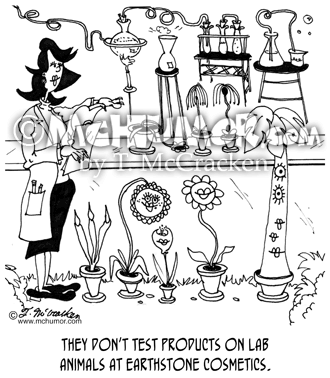 Flower Cartoon 5863: “They don’t test products on lab animals at Earthstone Cosmetics.” At a lab houseplants and rocks have lipstick and other make up on them." 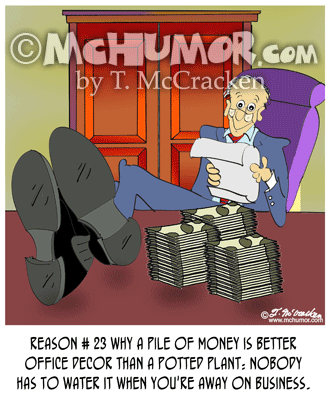 Money Cartoon 8607: "Reason # 23 why a pile of money is better office decor than a potted plant: nobody has to water it when you're away on business." 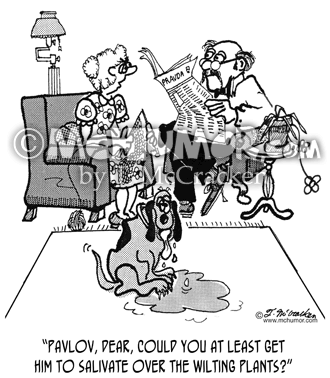 Pavlov Cartoon 2654: As a dog drools on the floor a woman says, "Pavlov, dear, could you at least get him to salivate over the wilting plants?" 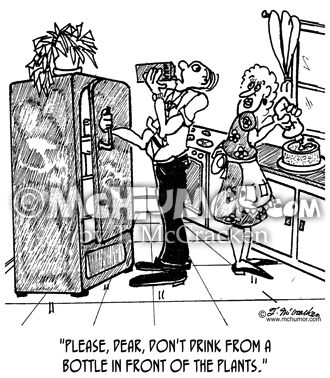 Milk Cartoon 1708: A woman says to a man drinking from a milk carton, "Please, dear, don't drink from a bottle in front of the plants." 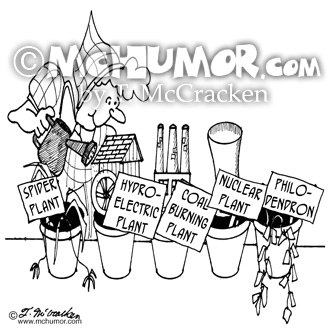 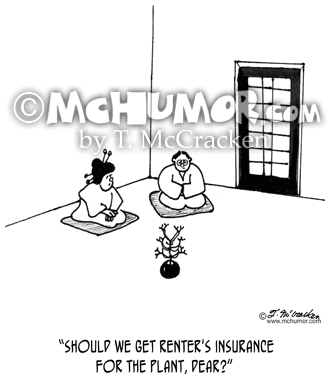 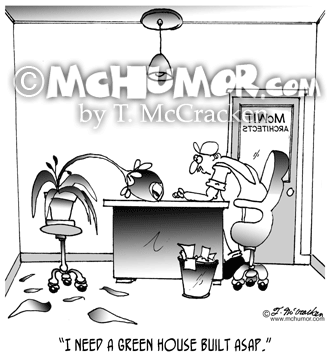 Architecture Cartoon 6418: A plant sitting in an architect's office saying, "I need a green house built ASAP." 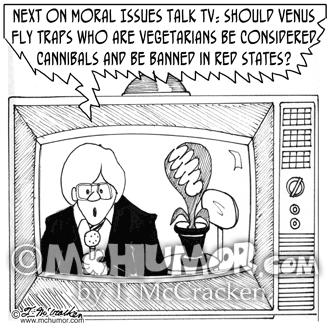 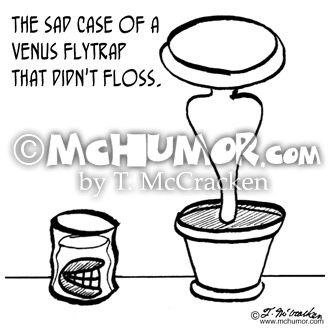 Ethics Cartoon 5594: "Next on Moral Issues Talk TV: should Venus fly traps who are vegetarians be considered cannibals and be banned in Red states?" 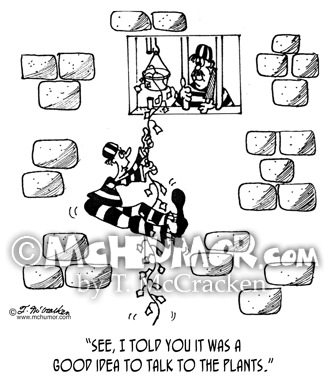 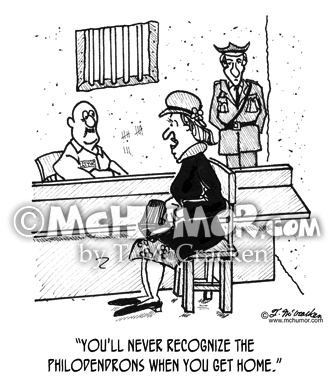 Plant Cartoon 1710: A woman visiting her husband in prison says, "You'll never recognize the philodendrons when you get home."